Welcome to Women’s Health Update on ReachMD, brought to you by Hologic. Visiting a primary care physician used to mean getting a yearly physical and a blood pressure check only. Now, the generalist’s office is becoming a true medical home for patients, which streamlines care, but also adds increasing responsibilities to conduct vital screenings that used to be within the specialists’ domain. Women’s health screenings are a prime example, but from a practice management perspective, their entrance into primary care may actually represent an opportunity over obligation. On today’s program, we’ll investigate the business advantages for instituting women’s health screening practices in the primary care office setting. This is Women’s Health Update on ReachMD. I’m your host, Dr. Jennifer Caudle, and joining me to discuss women’s health screenings in primary care is Dr. Sarina Schrager, family medicine specialist at University of Wisconsin Family Medicine. Dr. Schrager, thanks so much for being here today. Well, we’re excited that you’re here. So to begin, can you just share some background about your medical practice and how you incorporate women’s health screenings into your patient care? Sure. So, I am a family physician. I actually did a fellowship in women’s health, and so treating women and their families end up being the central part of my daily practice. I incorporate both cervical cancer and STI screening and older women’s health screening into my everyday activities. When I see women for other issues or when I see their children, we always include a discussion about screening. What would you say are the value propositions for providing these screenings to patients in your own practice as opposed to referring elsewhere? I think the main value is that you are providing everything in one place. For busy women, they only need to come to your office for everything that they need. They don’t have to go to different offices to see different doctors, maybe in different parts of town. It also makes you a much more holistic provider in that you can not only address acute issues but address all of the preventive issues that women need. This is really important, what you’re talking about. Was this an easy or straightforward addition into your practice, and how do you think this has affected your patient care? I think for sure it has improved care of our women patients. It actually has been relatively easy and straightforward. With the appropriate training, our staff now feels comfortable in doing both orders, billing, and setup of rooms. When we’re actually doing cervical cancer screening or STI screening, our lab developed a process that is very straightforward and efficient and effective, so we are able to do these screenings without a lot of extra work on the staff. Excellent. Does this transition coincide with any guidelines for women’s health screenings or primary care practices? Well, it’s been interesting. As the recommendations for cervical cancer screening have changed, women are not necessarily coming to see their physician every year because they don’t need cervical cancer screening every year, so that spreading out, I feel, has actually benefited the primary care office because they’re less likely to go and see any of the specialists and they are coming in to see us for other things, so we can incorporate the screening and the screening recommendations. We can keep track of when people are due a little bit better than if they were going, say, every 5 years or every 3 years to see a specialist. We know that women’s health screening in the primary care setting is a vital addition to the other screenings you do, given that fewer women are seeing their OB/GYNs regularly, but what screenings make sense to include from a fiscal or practice management standpoint? That’s a really good question. I think most people will do the basic screenings: the screening for cervical cancer, screening for STIs. 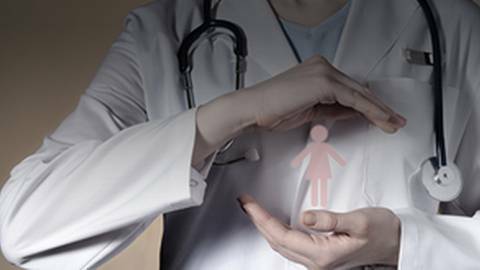 There are new recommendations for screening for intimate partner violence for women of reproductive age. Some practices will also incorporate breast cancer screening into the primary care office. Several of the offices in our system actually have on-site mammography suites, which definitely makes it easier for their female patients to get mammograms. My practice doesn’t, but some of the other offices in our system actually have on-site mammography suites where women just have to come to the clinic to get their breast cancer screening, which is a really useful and very efficient way of adding that to a primary care practice. Excellent. And what about coding and reimbursement considerations for STI and cervical cancer screening? Is the coverage adequate from your experience? So, in our experience we have never had any trouble with insurance coverage for cervical cancer screening and STI screening. In fact, once you have the process down and have trained staff, the billing procedure is actually quite straightforward, so I would encourage all primary care physicians out there to learn about the billing and coding because it should not be a barrier to providing preventive care for women. For those of you who are just tuning in, you’re listening to Women’s Health Update on ReachMD. I’m your host, Dr. Jennifer Caudle, and I’m speaking with Dr. Sarina Schrager about women’s health screenings in the primary care setting. So, continuing on this theme of expanding the practice model to include additional screening tests, how have your patients taken to receiving women’s health screenings from you as compared to an OB/GYN, and has there been any hesitancy at all? Well, I think some people who are used to going to different doctors for different things may have a bit of an adjustment, but in my experience, once they realize that they can receive all of their care in one place, people are really happy with it. They’re happy that they don’t have to go to a lot of different offices and keep track of different places and maybe different insurance reimbursement schemes or anything like that. So, in general, my patients have been very happy about it. Now, obviously these screenings come with important benefits for both your patients and your practice, but what barriers have you encountered either early on or ongoing as you offer these screenings? Well, I think there are a couple different types of barriers. The one would be having adequate time within a visit to complete both the acute needs as well as preventive care needs. The other is that some women don’t prioritize routine screening, so that might not be something that they would make an appointment for specifically, which is why sometimes if they have an appointment for something else, we can pull in the screening at the same time. So, going from your own experience again, what advice would you give other primary care clinicians who may be considering adding women’s health screenings into their practice? I would actually talk to people about thinking about the women that they serve and thinking about how they can best serve women in all capacities—how much easier can they make it for women by including all of the different options for screening that they need. I would also make sure that they have clinicians that are trained adequately and are comfortable doing women’s health screenings so that women feel comfortable in getting these screenings at the primary care office. Dr. Schrager, it’s been so helpful to really get a better sense of how women’s health screenings can be adopted into primary care settings based on your own experience, so we really thank you for joining the program today. Thanks so much for being with us. Oh, no, thanks for having me. The preceding program was brought to you by Hologic. To access other episodes in this series, visit www.ReachMD.com/womenshealthupdate. This is ReachMD. Be Part of the Knowledge. Get an inside look into how easy including women’s health screenings in your primary care practice can be. The practice of conducting routine women’s health screenings is becoming increasingly prevalent in primary care offices around the country. So how easy is it to start implementing these screenings in your own practice? And what are the potential benefits? Here to answer these questions and more is Dr. Sarina Schrager of UW Family Medicine and Community Health.